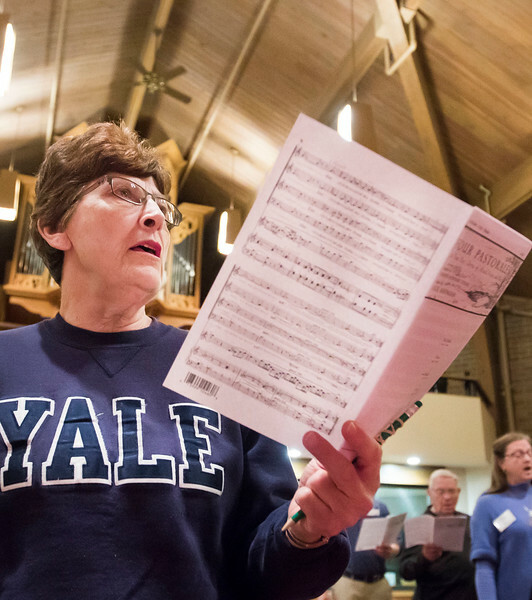 Sarah Nader - snader@shawmedia.com Gloria Greer (left) of Cary and Sue Swanson of Harvard sing during practice for Crystal Lake's community choir, Voices in Harmony, at Bethany Lutheran church in Crystal Lake Monday, March 27, 2017. The choir is celebrating their 30th anniversary. 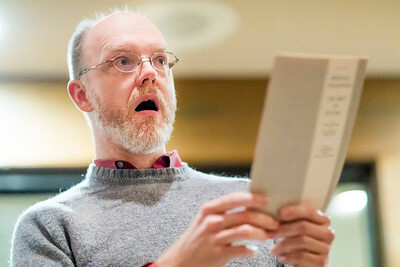 An April 9 concert, "Reflections," at the Raue Center all celebrate the anniversary and feature a song written solely for the group by composer Tom Vos. Sarah Nader - snader@shawmedia.com Tom Vos of Crystal Lake sings during practice for Crystal Lake's community choir, Voices in Harmony, at Bethany Lutheran church in Crystal Lake Monday, March 27, 2017. The choir is celebrating their 30th anniversary. An April 9 concert, "Reflections," at the Raue Center all celebrate the anniversary and feature a song written solely for the group by composer Tom Vos. 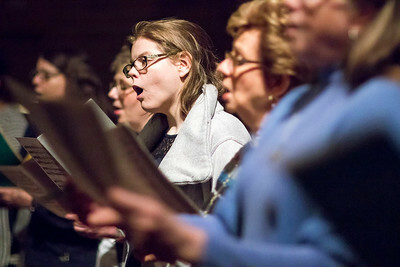 Sarah Nader - snader@shawmedia.com Nicole McReynolds (center) of McHenry sings during practice for Crystal Lake's community choir, Voices in Harmony, at Bethany Lutheran church in Crystal Lake Monday, March 27, 2017. The choir is celebrating their 30th anniversary. An April 9 concert, "Reflections," at the Raue Center all celebrate the anniversary and feature a song written solely for the group by composer Tom Vos. 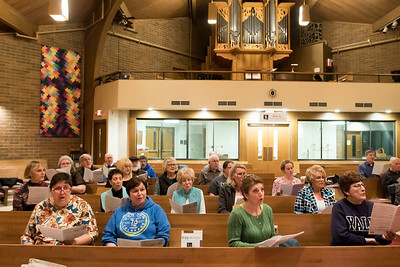 Sarah Nader - snader@shawmedia.com Crystal Lake's community choir, Voices in Harmony, practices at Bethany Lutheran church in Crystal Lake Monday, March 27, 2017. The choir is celebrating their 30th anniversary. An April 9 concert, "Reflections," at the Raue Center all celebrate the anniversary and feature a song written solely for the group by composer Tom Vos. 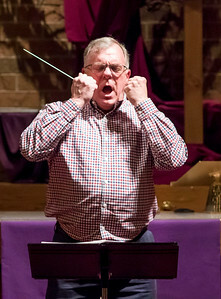 Sarah Nader - snader@shawmedia.com Conductor Steve Szalaj during practice for Crystal Lake's community choir, Voices in Harmony, at Bethany Lutheran church in Crystal Lake Monday, March 27, 2017. The choir is celebrating their 30th anniversary. An April 9 concert, "Reflections," at the Raue Center all celebrate the anniversary and feature a song written solely for the group by composer Tom Vos. 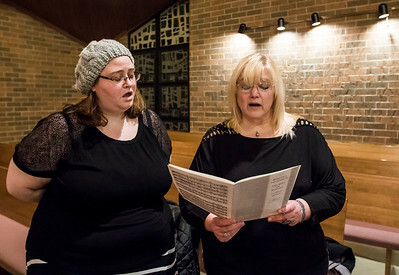 Sarah Nader - snader@shawmedia.com Karen Reinhard of Woodstock sings during practice for Crystal Lake's community choir, Voices in Harmony, at Bethany Lutheran church in Crystal Lake Monday, March 27, 2017. The choir is celebrating their 30th anniversary. An April 9 concert, "Reflections," at the Raue Center all celebrate the anniversary and feature a song written solely for the group by composer Tom Vos. Karen Reinhard of Woodstock sings during practice for Crystal Lake's community choir, Voices in Harmony, at Bethany Lutheran church in Crystal Lake Monday, March 27, 2017. The choir is celebrating their 30th anniversary. An April 9 concert, "Reflections," at the Raue Center all celebrate the anniversary and feature a song written solely for the group by composer Tom Vos.